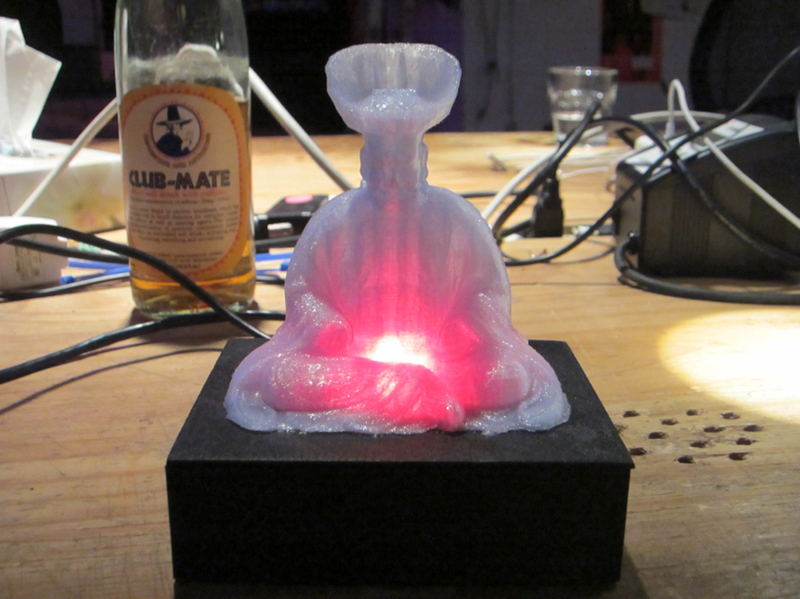 Emma-Ohnoes – Sculpture of Buddhist King and Judge of Hell as a Data Center Indicator of A Network Apocalypse #3DxMuseums #3DThursday #3DPrinting #3DScanning « Adafruit Industries – Makers, hackers, artists, designers and engineers! Every now and then, a particularly hard storm hits an undisclosed datacenter in Virginia where a huge chunk of The Cloud faces off with actual clouds to see which one can keep electricity running through it the longest. Sometimes the data center loses, causing DevOps teams and assorted other developers to get calls and tweets from literally everyone telling them their site is down. Usually this sort of apocalypse is indicated with a tiny icon on a web dashboard, visible only to the people already panicking and frantically reading up on High Availability and Multi-AZ Deployments. A little red icon doesn’t quite convey the gravity of the sky falling, so I figured the best indicator of cloud infrastructure status would be the Buddhist king and judge of hell, Emma-O (aka Enma-O aka Yama). 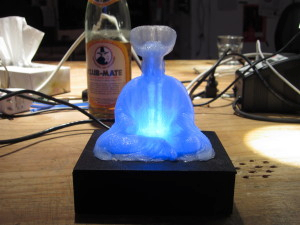 I happened to have a scan of an Emma-O wood sculpture from a previous project at the museum I work at (btw we’re hiring), so I scaled it up a bit and printed a copy in transparent blue-ish PLA…. Blue Emma: All’s well in the world. Red Emma: The cloud is stormy tonight.